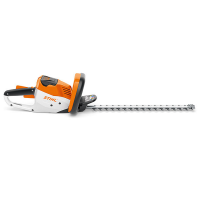 A very light cordless hedge trimmer with good cutting performance for trimming branches in your home’s outdoor spaces. 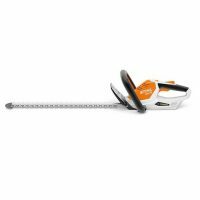 Single-sided cutter blade with 24 mm tooth spacing, integrated cut protection, screw-on tip protector, integrated battery with charge level indicator. Battery charging time: 145 min/210 min (80%/100%). 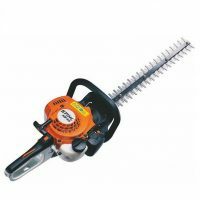 This very light 420W electric hedge trimmer with 45cm blade is ideal for trimming and cutting of hedges and bushes. Two-handed switch control with trigger lock for safe use. Newly designed wrap-around front handle makes swapping from vertical to horizontal cutting a breeze. 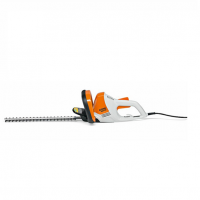 Cordless shrub shears with shrub cutter to trim and maintain small, evergreen hedges and small-leafed ornamental trees with up to 8 mm branch thickness. Bar length 17cm. 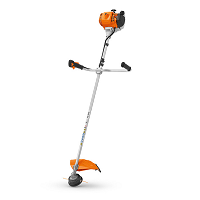 With a grass trimmer for cutting grass edging around the patio, flower bed and edges of the house. Ergonomic, rubberised handle, double-stroke blade for a powerful cut and low vibration, weight 0.6 kg. Battery fits only the HSA 25. 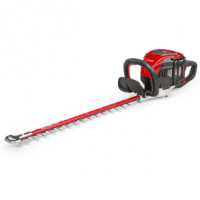 This very light 460W electric hedge trimmer with 50cm blade is ideal for trimming and cutting of hedges and bushes. Two-handed switch control with trigger lock for safe use. Newly designed wrap-around front handle makes swapping from vertical to horizontal cutting a breeze. The blade tip protector on the HSE 52 protects the blade when working near the ground. 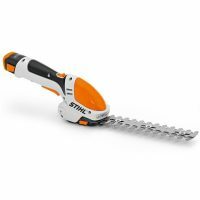 The Snapper® XD battery powered hedge trimmer combines a Briggs & Stratton 82V Lithium-Ion battery with a high-efficiency brushless motor to reach a new level of durability and performance. Purchase as a KIT, or a SKIN only. 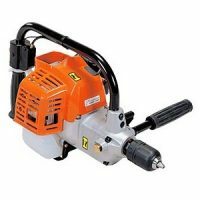 Wood drilling machine with powerful petrol engine. 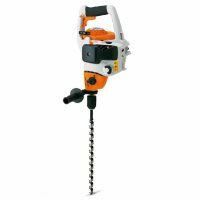 With quick-release chuck, two speed gearbox and reverse gear for releasing jammed drill bits. Can be started safely in neutral without the tool rotating. Conversion kit available for use as planting auger.